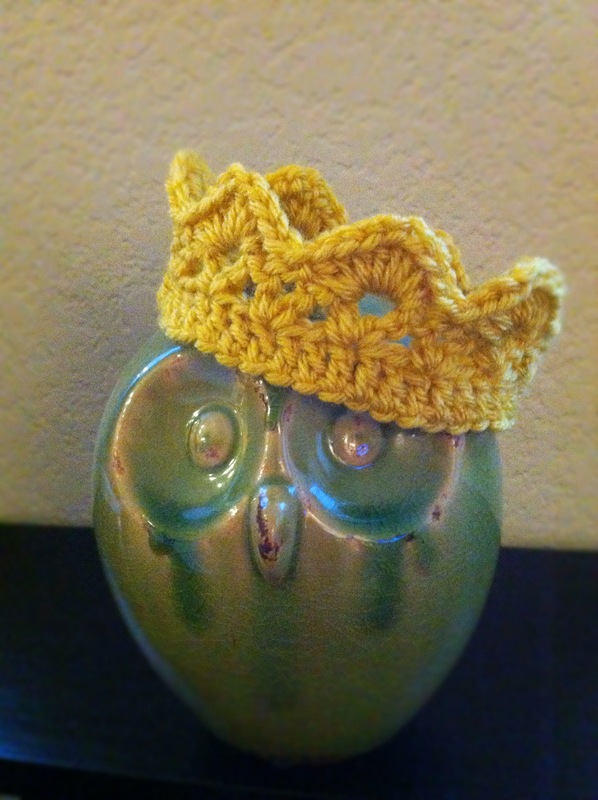 Little Rays of Sunshine has the cutest crochet crown posted on the blog! The free pattern was simple and easy to follow. I made these up in no time using left over yarn. This gold yarn is unisex but I immediately made up some pink and blue crowns, which I have yet to photograph. I could see this making a perfect newborn photo prop! It appears the original blog pattern has been removed and the creator has posted the pattern for sale on Ravelry at http://www.ravelry.com/patterns/library/newborn-crown-2 for anyone interested in purchasing this exact pattern. There are also a few other free patterns available online that come up with a quick search. I have not experimented with any others but will do so now that this original is no longer available. Sorry for all those who were looking for the original after it had been removed! The link no longer works 😦 Any way you can post the pattern? Of course! Let me write it up and notify you later today when it’s up! Do you have the pattern? The link doesn’t work. I’m trying to find the pattern to re write it for everyone. Not sure what happened with the original link. I’ll update later tonight! There are a few other free patterns available online, I googled crochet crown pattern and found a couple. Sorry! Love this! Can I have the pattern too, please? ALSO your chunky baby blanket is genius! Thanks for your blog inspirations! Thank you! I’m trying to find the pattern to re write it for everyone. Not sure what happened with the original link. I’ll update later tonight!